Be one with the assault bike! 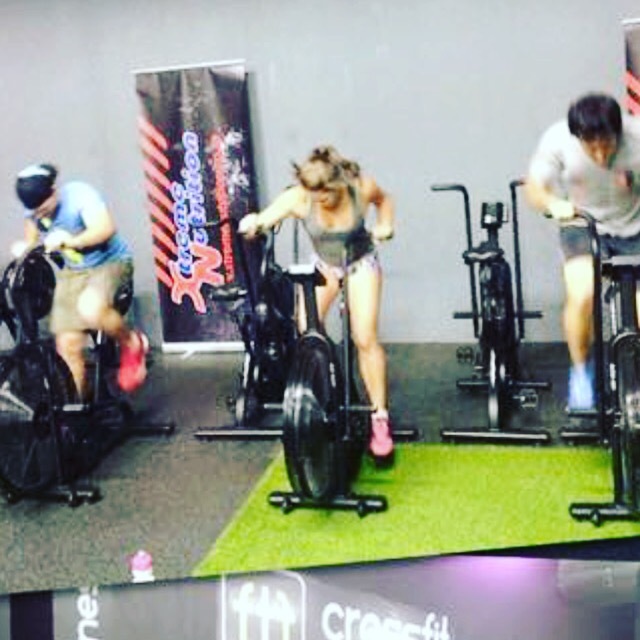 I have been on holiday in Durban for the last month and a half and have been going to Crossfit Kaiyay which is an amazing box with great programming and wonderful coaches and members. They have one machine that we don’t have: the assault bike. Man oh man is this thing a cardio nightmare! I have never felt so out of breath as I do when jumping on it during a WOD. This bike has definitely taken my fitness to the next level and it has translated into my WODs. I feel much more efficient and fatigue resistant when it comes to weight lifting. In fact, I have gotten much stronger in the last month than I have throughout this whole year! My cleans have increased in weight, my speed when lifting has increased, my gymnastics have become better and my mental capacity has gone beyond what I thought it could. It really amazes me how the benefits of Crossfit are never ending and that you are constantly progressing and getting better. There is ALWAYS something new to learn or make better.